The International Council of Organizations of Folklore Festivals and Folk Art (CIOFF), is an International nongovernmental organization (NGO) in formal consultative relation with UNESCO. CIOFF has 65 full members, 5 associate members and 18 corresponding members worldwide. Its head-quarters are in Confolens in France. Full members are National Sections with the aim to preserve traditional art, to organize Folklore Festivals or similar activities as well as unite voluntary organizations, working in the field of dance, music, costumes, customs and ethnography. The National Sections are belong to sectors in the organization according to their geographic location. 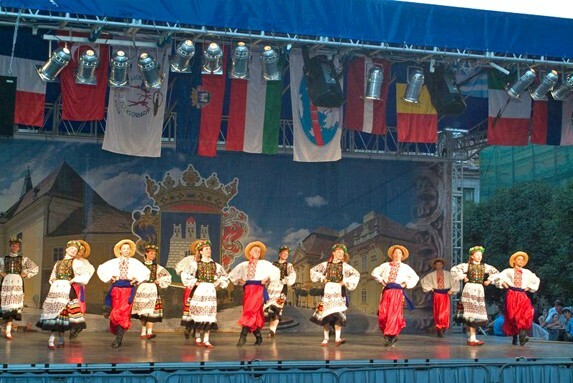 Each year more than 250 Folklore Festivals organized by CIOFF take place worldwide. Every 4 years CIOFF world organization is holding Folkloriada. This is a major festival where all members of CIOFF are invited to send Folklore Groups from their countries to show the diversity of Folklore.